Beautiful halo design in 14kt white gold. 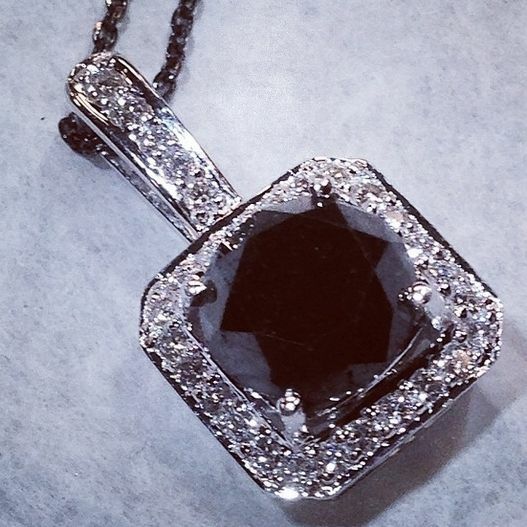 This piece is being used for a center 2 Carat Black Diamond and offset by a square halo of diamonds. A beautiful piece for every day wear or for a special occasion.